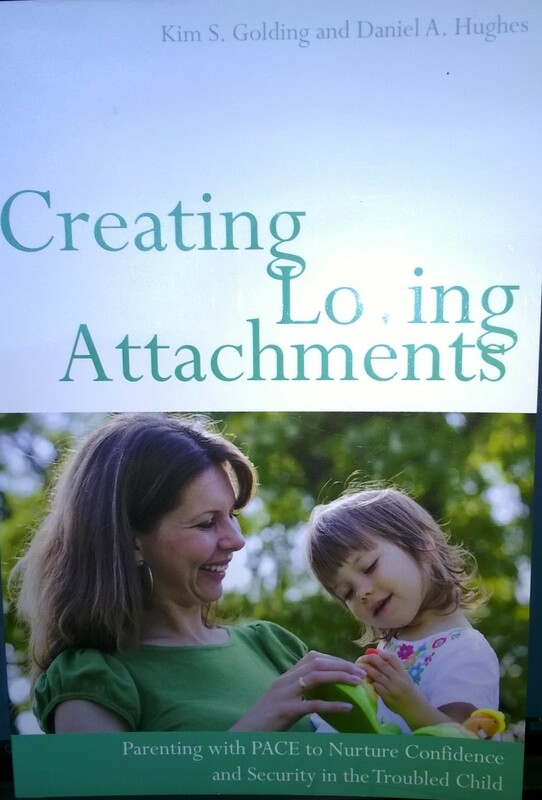 “Building the Bonds of Attachment” by Dan Hughes. This is one of the top books in the field, although it’s ridiculously priced on Amazon, so we haven’t bought it. I did read this book many years ago, though. “Creating Loving Attachments. Parenting with PACE to nurture confidence and security in the troubled child” by Dan Hughes and Kim Golding. Haven’t started this one yet. It’s about ‘PACE’, on which we had training last week. Remember that PACE stands for Playfulness, Acceptance, Curiosity, and Empathy. “An Adoption Diary” by Maria Jones. This is a book by an English woman who diarised her life (along with her husband) from pre-adoption to the legalisation of the adoption of her son. It was a bit lacking in colour, I thought, and Hubby referred to it as “boring”. I thought it was worth reading, just to familiarise ourselves with a real family’s experience. “First Steps in Parenting the Child who Hurts – Tiddlers and Toddlers” by Caroline Archer. “Next Steps in Parenting the Child who Hurts – Tykes and Teens” by Carolin Archer. 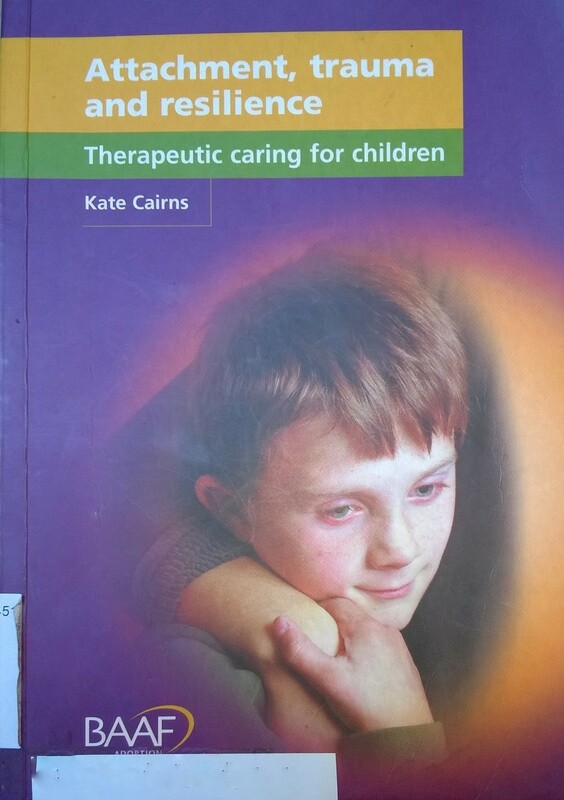 “Attachment, Trauma and Resilience” by Kate Cairns. The author fostered more than a dozen children over a period of many years. 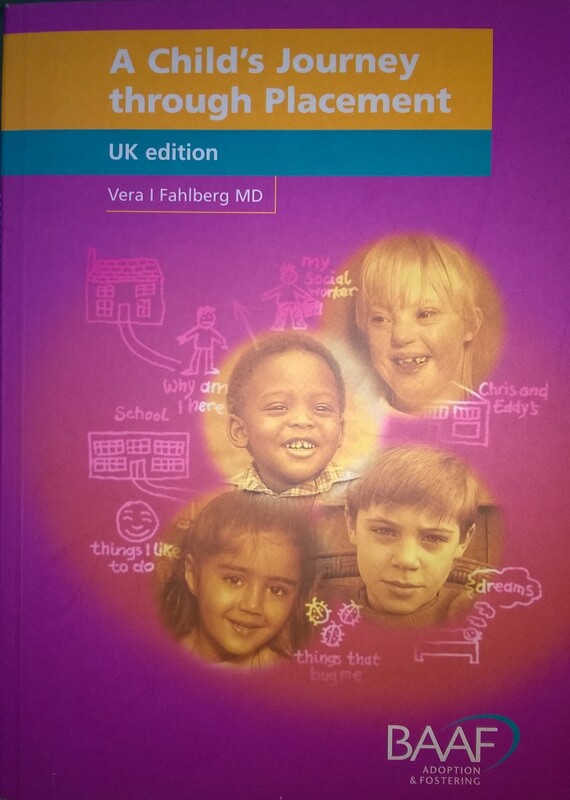 “A Child’s Journey Through Placement” by Vera Fahlberg. The author is an American who is a physician and psychiatrist, with many years of experience with foster and adopted children. The book was written, years ago, for an American audience and has been edited by BAAF and the author for British readers. I’m presently reading “Attachment, Trauma and Resilience. I’ll admit I’m having a hard time getting through this book. I’ll give it a few more days and if I can’t motivate myself, I’ll move on to the PACE book (2 in the list above). A friend from our adoption training course recommended another ‘adoption diary’ type book, which I have on order. I’ll do a bit of a review once I read it. Amazon usually has used copies greatly discounted.